Coder Camps also provides career services where at the completion of the course, graduates are introduced to leaders in technology to facilitate entry into a new career path in tech. 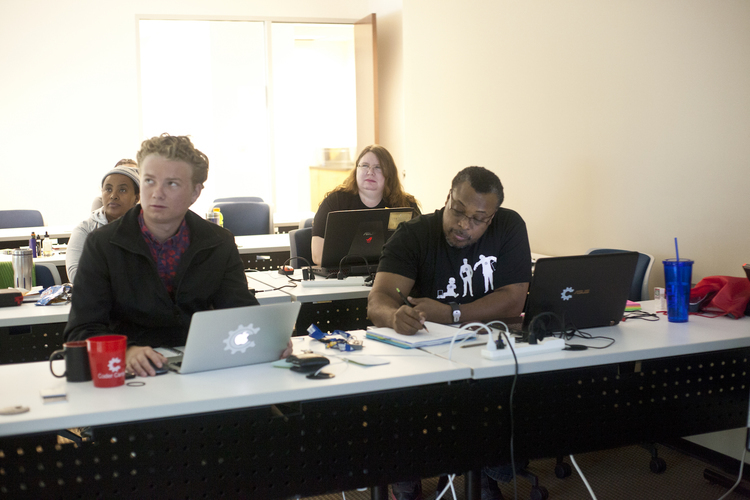 Coder Camps graduates also receive lifetime access to continuing education courses at no additional cost. Didn't think it would happen to me. The Full-Stack Web Development program prepares graduates to excel as Full-Stack Web Developers. These sought-after, entry-level professionals make important contributions across all areas of web application architecture. They possess the broad knowledge of computer science principals and modern tools and have fundamental knowledge of available frameworks. They can work independently or as part of a software team. I enrolled in the camp last year right out of college. To begin the recruiter was very pushy and persistent (Bill) and even though I expressed being very apprehensive about the program I was constantly called and encouraged to enroll being told that it was for people like myself that had no computer science background. Onece I was in the program I could clearly see it was for more advanced programmers. I wasn’t able to keep up and wasn’t able to recieve much help due to the time difference of the coaches. I tried leaving the program but was never able to reach the person that I spoke with about signing up... long story short I’m paying back 10,000 for a month and a half worth of class. JUST DONT DO IT! The quality of the pre-work was encouraging. I felt challenged to get it all completed, I got good feedback on some of the projects I needed to fix, and I felt really good about the stuff that I built. Eventually the time to start was upon me! The hours were from 9AM central to a break for an hour, and then we ended the day around 4PM. I was not impressed by the cohort size, as there was one in-person student, and two online. Four or five total. That was the first red flag. Stephen Walther was our main instructor, and he was very knowledgeable. The first few weeks were great. We learned Typescript, which I had never seen, I believe some Bootstrap as well, and of course HTML, CSS, etc. I excelled at anything we did because I was familiar with these basic technologies. I felt like a kid waiting for the first lick of a spanking because I knew that things would be picking up soon. Then it did! I was terrified of Angular (1.5), Node and Express when I was first presented with the app that we would be building our apps on, but that's when I really learned to break down new technologies and get an understanding for how they work. I got so good that the instructors thought I was cheating when I would "drive" the other students in front of the class. That's actually the closest we came to pair programming, one student telling the other what to do while the other students watched. I found it extremely hard to pay attention when I was not directly engaged in producing the code. I didn't like how we would be introduced to new concepts with a walk-along, and THEN go practice. I found much more use when I introduced the concept to myself through reading the curriculum and Youtube the night before, and then implementing the concepts in the presence of a teacher, where I could ask any question I needed, and that way keep my momentum and really get the most of my time. Instead, I would be forced to follow along while someone else codes on the screen. I cannot fault them for their teaching style, but personally, I did not find it the most effective. The first real blow came when our main instructor, Stephen, dipped off to go and teach a .NET course. He left us to Johnathon, who I believe was nothing more than a TA, and would occasionally come and check on us. This made me angry, because while John was helpful and had a great attitude, he simply didn't have the experience that Stephen did and therefore could not help us on the same level. Soon after, Stephen abruptly left Coder Camps. The next guy that came in, Brandon, was in between John and Stephen, but closer to John in terms of experience, and he honestly didn't have the best communication skills. Brandon coming in introduced another level of complication to the cohort since I believe it was Stephen who wrote the curriculum in the first place. He didn't like Stephen's curriculum, and for good reason: component-based architecture was completely missing from it. This didn't bother me until I graduated and realized that EVERYTHING is headed that way. I started behind the race because I was taught to use an old version of Angular, and at that we didn't learn the industry-preferred style of app structure, even though Angular 1.5 supports it. While I'm on the subject of what I didn't learn, I barely know how to use Webpack, (only because I taught myself at that) and only know of SystemJs due to my own reading on Angular. We never learned any bundling technology. To me, that is one of the hardest concepts to grasp, and it's def something we should have learned under the supervision of a seasoned coder. As for the projects, I built many quick one-day projects to demonstrate understanding of different features of Angular or Express, but only one personal capstone and one group project. My capstone was not much of a success in my opinion, and I blame the fact that I aimed a little too high. Definitely would go simple if I could again. It was just too data-intensive. I spent a lot of time trying to acquire data, find ways to manipulate it, and finally gave up on that and tried to produce my own. The small cohort really hurt the group project, since there were only three of us by the time it rolled around. One of my classmates was too far behind to participate, so our group project was done with only two. I just wish I collaborated on more than one project. We struggled with authentication since nobody could provide a working version of Passport. How can I learn to use it if you don't even have a working example to show me? Brandon actually did it for us, and he had a hard time with it, adding several more technologies to make it work for some reason. He really did his best to help us, but still nobody was impressed when it came time to show it off. The job services is a big joke. I won't lie, I missed the day that the career services rep supposedly talked to our cohort, but I did make sure I got the materials from our slack channel and reached out to them after that. I got a pdf and a power point telling me basic things like make a resume and make a LinkedIn, which I already had. I wish they actually took the time to introduce us to some companies. That was a big reason for me going to a bootcamp, I thought they would have connections to leverage and help us in the door. The rep could have at least replied to me. I graduated at the end of January, and it is August now. I held my tongue for a while because I didn't realize how bad of an experience I had had, and I wanted to give them the chance to make it right, because things happen sometimes. They don't plan on helping (aside from me taking ANOTHER THREE MONTHS not being able to earn a living), and I feel that I will not get a job without going through more schooling. I am looking at different options, but I will not be returning there. You should not get the same amount of money from me because you messed up the first time and now I have to spend double the projected time in school. Even when I was teaching myself things like component-based architecture or webpack after graduation, the instructors on the slack channel didn't give a single f*** about me. No support. Except for Brandon. He took time to video chat with me when I was no longer his student and help me teach myself. I banked a lot on that bootcamp, and I feel extremely let down. It makes me angry and depressed when I realize that I am in the same situation as a year ago. It's really hard to put into words how discouraging this last year (including bootcamp time) has been for me. I am at a loss as far as what to do sometimes. While I knew this 12 week course would be difficult, I had no idea how fast the class would actually go. We have a large class with a variety of ages and learning abilities. Our instructor goes the extra mile to make sure we understand. Thank goodness he has a sense of humor! Our classes are recorded so we can watch them again to review concepts that we might be struggling with. I have found that my extra effort in studying before and/or after class is making the difference to my understanding and retention. The hands-on projects are vital for making the knowledge stick! On a side note, all the mentors and instructors have been helpful...even those who aren't directly involved in my class. Everyone here is willing to make sure you get out of this experience what you put into it. I love it here and recommend it to those considering a coding camp of this type. Keep in mind...this experience isn't for sissies or whiners. Many people think these boot camps are a golden ticket, they are not. Before I even showed up in Seattle, I had no unreasonable expectations.I am a self-paced learner, I had studied extensively before I showed up. I won’t go over career placement/counseling because I never expected a magic way into a job. You are the only person that can get you a job, network, build and be persistent. I only expected the following. 1. A chance to code full time and get financing for the tuition, cost of living and gas. 2. A environment where I could meet others like myself. 3. A place to stay late and code when cramming to finish projects. 4. A instructor to help me when I needed it. 5. A good resume project to leave camp with. 6. A place to find community even after graduation. Basically, #1 is the only thing I felt was adequately provided, and that was provided through a third party, so hey, thanks to them I guess. I’ll start with #2. I was hoping to meet passionate newbies who really had the drive and competency to build awesome thing. The “admissions representatives” aka, sales people, were just pushing as many bodies through the door as they could, regardless of aptitude. Look it up on glassdoor, they work on commission. Students that needed excessive hand-holding through lectures. Students that seemed to be barely able to operate their own computers, let alone build software. I did meet some awesome passionate people at coder camps, but they were in different cohorts who have the same complaints about the program as I did. When I first got to the camp, I had a late night TA. She was there if you needed questions answered, and to close the building late. However, 2ish weeks in, she got moved to a remote class and started working from home, subsequently causing the camp to close at 5 when the 2 instructors left. It would be occasionally be open a bit longer, but not often. I’d usually end up at the nearby coffee joint when I needed to get work done. This was partially due to #2, it was hard to get my instructor to help me on harder concepts when he had students who were constantly making him repeat basic concepts like git commands and editor hotkeys. Beyond this. He left the company 2 weeks before my final project was over, presumably due to differences within Coder Camps. The instructor in the other class was willing to help when I needed it, but much of the project as in a completely different stack, and I ended up finishing it out. Which leads to our next expectation. I was in a group of 2 others, one remote and one onsite. We finished, but there were features missing that I sincerely wished made it in. Beyond our instructor leaving, the remote student had to begin working a full-time job for personal reasons. The scope of the project was made for 3 full time developers, and it was more like 2.25. I feel like this made me pick up the extra slack. The project works as a demo, but not as a product, and it still bothers me to this day. I put a lot of heart into it. After I graduated the dot-net class wasn’t receiving new students, and the mean stack class ahead of me was finishing their projects. In total, on a day I would stop in there would be 5 people in the building including the instructor and TA, but often less. This was pretty suspicious, they went from just throwing in any warm body willing to pay them, to mysteriously sending no-one. This turned out to be that they planned to close the Seattle campus. I tried to stop by recently to find out that they closed the camp. They are still active in arizona and Texas (so far as I know). I’ve found a good community outside the camp, the JS community in Seattle is warm and friendly. Unfortunately, Coder camps’ Seattle campus was actually in Redmond! And if you know anything about Seattle, the people here hate driving. So you end up spending a lot of time and gas to go to meetups and events where the community actually congregates. Most of what I have learned hasn’t been from their curriculum, it was pretty badly outdated. I’m self taught, they taught me nothing. 2 weeks out of camp I found some contract work for a startup. With zero help from Coder Camps. And that’s fine, as I said, I wasn’t expecting it. That lasted about about 2 months, and now I’m on the hunt again. This whole experience was just sad. I came in with reasonable expectations and was disappointed in a spectacular fashion. Don’t trust a word they tell you. I'm currently 4 weeks into my 24 week online course. I just compleeted the first module whicch is scheduled for ending week 6. The learning modules are set up to thouroughly test each skillset before moving on. Obviously as with any online work-your-own-pace class you're far more responsible for your own understanding than if you were in class. That said there are always good links suggesting additional reading for each concept and as I said effective tests to sohow you where you lack understanding. Today was the second day of my of summer boot camp experience. So far I'm enjoying the classroom enviornment here on campus. The insturctor honestly does his best with giving person hands on attention, while being mindful of keeping the pace of the curriculum. Being new to coding I'm realising that the skill we take a lot of practice to truly acquire, but I feel like this bootcamp will be a huge assistance in exploring this journey. When you're looking for a .net camp, the options are a bit more limited than other tech stacks. Let's just say my company is heavily invested in the Microsoft stack. Chris Attaway and Brian Wood are really helpful instructors. They did a better job explaining things i had trouble with than the curriculum did, which leads me to my only real problem with the course. My biggest complaint would be the "sparse" curriculum in places. Some things weren't deeply explained, and you have to do a lot of outside study. More on that in a bit. However, i've seen a glimpse of their new curriculum, and it seems to be much, much improved. The biggest benefit of this course, and the reason i'm scoring it high overall, is that as the curriculum improves, I'll get to go take a look at the new stuff. The access to free future training that all grads get is a great benefit. I've been told an "ala carte" option for the modules is coming as well, which would be nice: won't have to take an entire camp, just go freshen up on the things i want. So, for me the negatives are the sparse curriculum, and the difficulty of learning tech like this online which probably would apply to any camp. I also invested in a codecademy sub to suppliment what i'm learning. That said, someone like me needs a bit of structure and some deadlines/assignments to progress, and the course provided what i expected there. It seems they're taking the criticisms about the group project to heart as well. I've been told that going forward, instead of a big group project, it's an individual project++. Bootcamps are not for everyone. i'm not sure that a novice would have a great experience online, because of the self-directed nature of it. A novice may be better served being in a room with instructors and really interacting with them. You really get out of these courses what you put in. I spent many a day re-reading training materials and re-watching videos, working on my individual project. However, at the end of the day, i progressed further making useful software on modern toolsets in this short, few month course than I did as a computer science major for two years. It feels like codercamps has somewhat recently changed ownership / management or both, and i have pretty good feelings about the future direction of this camp. I didn't rate the job assistance category, as I'm using this camp to broaden my existing knowledge (non-dev, but still highly technical). The career assistance didn't appeal to or assist me much at all... but i can see how someone entirely new to the tech industry and job market would benefit. I'd also like to see an increased emphasis on the types of algorithms and whiteboard-interview type techniques that tech companies use nowadays. Bottom Line: I feel like i got my money's worth, but this type of training is not for everyone. You have to be immenently excited about the idea of building software , and have strong troubleshooting and research abilities already, particularly for the online course. If this is you, you'll enjoy the course and make a lot of progress. You'll find my picture on the home page of the Coder Camps website saying some prescripted junk they wrote up for me about how they helped me find work. It was really a combination of me doing to tech meetups and having the good fortune to meet a small startup that was interested in supporting bootcamp graduates. Unfortunately despite getting a job at that company, the lack of fundamentals and understanding of concepts the bootcamp was supposed to provide in the curriculum was absent, leading to me losing that position. The curriculum during my time at Coder Camps was outdated, incorrect, and neither of the cohorts I participated in on site actually completed all of the topics meant to be covered. We never completed authentication, hashing, tokens, our angular lesson was basically nonexistent, and the list goes on. I would also like to point out that a majority of the students that attended the cohorts I was in were hired by the school, not as developers, but various other unrelated positions. The only person I know of from my classes that managed to secure a developer position is one that quit the program, received a refund, and attended a different bootcamp that actually had a developed curriculum and teachers who understood and where passionate about the material. I will close with the fact that this program has done nothing for me except leave me with a $540/mo loan payment that I can't afford to pay back and a career services department that has not been in communication with me in almost 4 months. The one communication I received was a short message saying they have no leads or opportunities at this time. I have not heard from them since then, despite numerous attempts to reach various people within the department. I would demand a full refund of this program if I could, because the only way it transformed my life was by adding a debt that won't be paid off anytime soon. Coder Camps is a great school. It's tough, but there are so many helpful staff, mentors, and students who are always willing to help. I highly recommend Coder Camps to anyone who is or has been interested in learning to code. I also highly recommend asking for Jason Jones if you're interested in applying for this school. A+ all around to everyone at Coder Camps! Hey guys, a little about myself. I've studied management Informtation Systems at Texas Tech University. I'm 22 years old, and love everything about computers. I found that in my time at University I was extremely unprepared for practical implementation of my knowledge to the workplace. I first found out about codercamps after figuring out I wanted the intensity that acquired a programming bootcamp. I was accepted into AppAcademy, and HackReactor, but Jason, the admissions counselor made me truly feel at home and after talking with some former students I made a pretty daring move, and moved out to Arizona to take the course. Let me say it is THE BEST DECISION I HAVE EVER MADE. With these things you get out of it what you put in. If you expect to magically learn programming in 3 months by sitting on your a** you're poorly mistaken. I will say they make it so easy to be ingaged however.My favorite part about this school is the network. The instructor (Jesse tomchak) is incredibly knowledgeable and he truly cares for people. Most importantly the network of students is incredible. Everyone helps with everything. I feel like I am a part of the family. These guys gave me the practical knowledge to turn my creativity into real world applications. Trust me when I say out of all of my education, this BY FAR has been the most valuable. They have a coders for life program so you can come back any time you'd like and learn as many languages as you can handle. I highly recommend this for anyone that wants a career out of programming. Best choice I've ever made. I just wanted to share my experience because I'm annoyed I didn't do this sooner. I was driving Uber full-time in between sales positions and was looking for a change of career in something that I actually had an interest in. I heard about Coder Camps through one of my rides who happened to work there. After looking around at some of the other options and speaking with my admissions rep at coder camps, I realized going back to community college would have cost more and took much longer just to come out with a similar skill set. I chose to attend in person at the scottsdale location and I have to say it was not easy, it is called a bootcamp for a reason. My class and I spent 10-12 hours a day learning and building apps for 12 weeks. The first 6 weeks are instruction and the second 6 weeks are for a group project that you get to pick the topic of. I must say that the group project was crazy valuable, you need to work as a team, coordinate with each other, avoid and resolve code conflicts, etc. It really shows you how complicated a project can become without proper planning. We were able to have an amazing project that we were really proud of and the biggest reason that happened is that we worked together as a unit and made decisions as a team. I loved this course(I did .NET), and being a coder for life means I can take all the additonal courses in the future for free so there is endless value. I highly reccomend you check it out. As a online student it is an excellent coding education course. Its not just within the reach of those who live in major cities. It has become easier for people from all backgrounds to learn the skills they need to switch careers. Coding isn't easy to learn but that's exactly why it's so valuable. It requires practice and patience. Online offers a variety of training programs subject such as Full Stack. Net Web Development iOs Development, Front-end Web and more. Great supportive team that helps and is available all the time. What a great experience I'm having in learning how to code from Coder Camps. Active student on online. Coding isn’t particularly easy to learn but that’s exactly why it’s so valuable. The courses on line are fun. There is always a mentored available to guide you if needed. There is interaction with other classmates you're not alone. It's fun to learn and we help each other. A great learning structure personal I feel it has a style of teaching of a hybrid / blend. That's good. It has demos, videos and class lectures. One on one with a mentor. Practice hands on exercise from lessons and so on. It requires you to have self discipline for example of doing 4/5 lessons each day for 5 days will get you on track even. If you struggle there is always help support available. Staff Christine (C.P.) She is amazing motivational and inspirational speaker. Gives great support and checks in with you to see how are you doing makes sure things work out well. Christian W. (mentor) He is wonderful and determine to make sure he get you on the right track. Very good at explaining concepts when not understood. Strongly committed on helping others become fuller versions of who they are. Isaac G. (instructor) He is wonderful goes above and beyond to ensure each student in his class is knowledgeable in being successful. Very detail oriented and gives good visual instructions to follow. Good for beginners. Believes that each one has something special that can be built upon and puts his best efforts to teach us. Nick S. (instructor) He is wonderful gives solid understanding in his lessons. Engaging and holds the attention of students in all discussions. With a caring attitude he encourage everyone to always work at their best level. Passionate in his work and ensure we retain what we learn. Currently enrolled at Coder Camps. I enjoy being a student here. I have no experience and I am starting from scratch. I have found the courses to be great introduction and it has motivated me to keep learning. Great customer service and support. Very friendly and welcoming staff. It's the best school to learn how to code. Online courses there is always a mentored available to guide you if needed. There is interaction with other classmatesyou're not alone. It's fun to learn and help each other. Has a great learning structure personal I feel it's more of a hybrid / blend style. It has demos,videos and class lectures. One on one with a mentors, practice hands on lessons and so on. It requires you to have self discipline for example of doing 4/5 lessons each day for 5 days gets you on track even if your not. There is always help support available. Christine (C.P.) She is amazing motivational and inspirational speaker. Gives great support and checks in with you to see how are you doing makes sure things work out well. 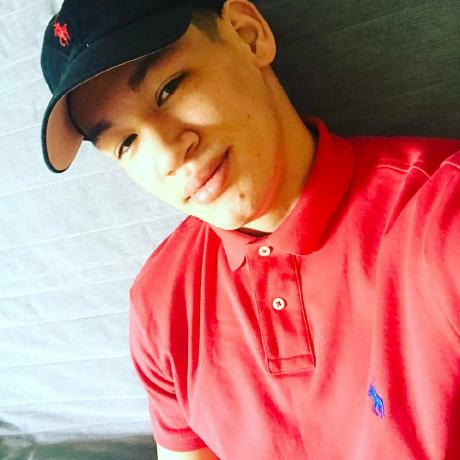 Christian W. (mentor) He is wonderful and determine to make sure he get you on the right track. Very good at explaining concepts when not understood. Strongly committed on helping others become fuller versions of who they are. Isaac G. (instructor) He is wonderful goes above and beyond to ensure each student in his class is knowledgeable in being successful. Very detail oriented and gives good visual instructions to follow. Good for beginners. Believes that each one has something special that can be built upon and puts his best efforts to teach us. Nick S. (instructor) He is wonderful gives solid understanding in his lessons. Engaging and holds the attention of students in all discussions. With a caring attitude he encourage everyone to always work at their best level. Passionate in his work and ensure we retain what we learn. I DO NOT EVEN KNOW WHERE TO BEGIN! My experience with Coder Camps so far has been amazing! My admission rep Billy, the Live Help Specialists Cassandra, Andrew, and Stephen, and one of the Managers, Jamie have all been so phenominal. They constantly made sure I was understanding the material, assisting when necessary and even walked me through the toughest stages of my course. I could not have had a warmer, more welcoming introduction to Coder Camps and the world of web development. Amazing company, amazing people, fully dedicated to the success of the student. I have not found one person, staff or student, who wasn't willing to help and offer encouragement. I spent 30 years in a completely unrelated (non-technical) industry and I am over 50 with no formal computer training so I really didn't think I would fit in. Didn't matter. The people at Coder Camps are not interested in your lack of experience, they are only interested in your success. In 30 years of employment I have not come across a group of people more interested in the success of their customer, the student. 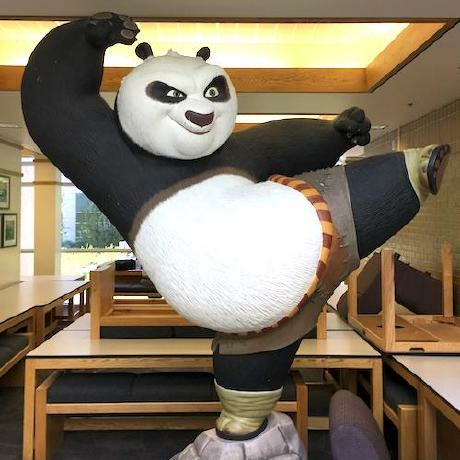 While the coursework is grueling and requires an immense amount of dedication, the environment on campus is friendly and even fun and I have absolutely no hesitation in recommending Coder Camps. I recently completed Coding From Scratch and my experience with the process, and even more with the people, made the choice to enroll an easy one. As with any difficult task, you will get out of it what you put in; but here you will be immersed in a culture that will drive you to be the best. I throughly enjoyed the Coder Camps Full Stack .Net course. The in-class instruction was topical and taught me the basics I needed to know in order to explore more my own. The homework/projects challenged me to stretch what I learned and apply it. And the post course support I have received has been outstanding. When I first contacted Coder Camps I was immediately impressed with Jason Jones who broke down the course in a concise and clear manner with the utmost zest! Since I joined the program he has consistently reached out to me on a regular basis to make sure everything is going well and darn well makes things happen if they are not!!! I joined the Full Stack .NET C# course and since have been introduced to the latest C# .NET CORE technology as well as many of the other most popular web technologies out there. They are constantly evolving with the latest technologies which is a must in today's rapidly changing programming world. I would like to give special props to a few other individuals: Nick Suwyn who is one of the most knowledgeable programmers I have met over the years and who is ALWAYS there when I need him for anything and get's back to me in a timely fashion. His lectures are also second to none. Next is Jason Tennant who gave me special attention despite his busy schedule and helped me with many important things including but not limited to getting me linked up with Linked in and other programming related chat forums that have helped me out tremendously. Finally Chris Coleman (CEO) who reached out to me personally to make sure my journey has been a good one and everything is going in the right direction. There is not anything particularity bad I can say however I will say that the course is very condensed and requires a very very serious approach and a lot of time dedicated to learning. You also have to be on the ball and ask the right questions to the right people to stay on top of things. I will follow up again when the course is completed. I attended the Phoenix Full Stack .Net course last fall, and I graduated in Febuary. The class was very intense to say the least! This is a course for people who serious about really making a change in their lives, and wanting to break into the Tech industry. The Curiculum is very fast paced, and there is ZERO room for any sort of laziness. I personally had made the decision to do this knowing that my dedication and attitude were going to be everything in how successful I was going to be. During the instructional phase a few of my classmates and I would spend sometimes upwards of 5 hours after class working on our homework, and helping each other stay up to speed with the pace of the class. There were also seveal times on the weekends where we would meet up to work on the coursework. It was a very good thing that we bacame so close with each other because once we got into the group project phase, we spent even more time working together than when we were in the instructional phase of the Camp. The instruction was very fast paced and thorough, and the Instructor was very knowledgable and always on point. As for the class Mentor, I can't say enough positive things. Given that we put all of our frustrations and emotions on him, he might be the most patient person that I've ever known. He always had an answer for us and knew how to relate in a way that made us feel calm. Our Group Project phase was also very intense, as we had to create and complete a difficult project in only 5 weeks time. At the end it was a huge relief to be finnished and Demo our project to a sizeable audience. The Coder Camps Career Services team was also amazing in every regard. They helped us put togather our resumes, and build our LinkedIn profiles to be appropriate with the industry that we would then be entering into. It did not end at graduation either, as they worked tirelessly to connect us to different opportunities and trying to get us in front of potential employers. To say that there is a job waiting for you when you exit this Boot Camp would not be accurate. As with any employment getting the job is ALWAYS up to you to make it happen! I personally interviewed about 6 times before I was finally offered a position, but The Coder Camps people were always there to support me and suggest new interview tactics, and find new opportunities for me to persue. Commiting yourself to this school and what they offer is a huge undertaking, and your success is all in your own hands, and how you seriously you take the challenge. I'll admit I was nervous about such an accelerated program but the staff at coder camps helped me every step of the way. The course was challenging and there were moments I wasn't sure it would click with me but the instructional team kept encouraging me. The moment the light bulb came on was such a rewarding experience. I've been interviewing with several employers post graduation and I'm confident I will land a job shortly. I would highly recommend Coder Camps and I've already referred several friends and family! I'll preface this with saying I decided against attending the camp, however the enticement alone was enough of a hard sell to put me off. Rather than a straight information session, with some time to consider and signing up after a campus tour (which would have been preferable,) the call became overwhelming fast. Much of the interview (which the recruiter didn't inform me it was until well into the conversation) was hyping up not only the program, but building the expectation of you not letting them down, something I was reminded of at several points. Despite telling them I'd have to talk it over, I was transfered over to the recruter's supervisor who immediatly waved the application fee and reminded me of the high expectations they had for me, since I'd signed up without being given a chance to think about it. They didn't shoehorn you in all the way (thus the extra star) as they gave me the online prerequisite course free, but they did "save" me a seat with the premptive tuition charge suspiciously on the forms that they had me sign as well as personal information like my SSN. In short, they rushed me through the process and none of it felt kosher. Maybe it is a good experience, maybe it isn't. All the reviews have either been negative or repeated the talking points from the phone "interview," so I'm weary of if they can be trusted. Just saying, I was not impressed with the way they sold me their product. Jamie Williams, Director of Admission from Coder Camps, is the most delightful person and helped me with getting admitted as fast as possible. Coder Camps has the most diverse curriculum and a lifetime learning dedication to its students. I would recommend it to anyone. Welcome to the first News Roundup of 2018! We’re already having a busy 2018 – we published our latest outcomes and demographics report, and we’re seeing a promising focus on diversity in tech! In January we saw a significant fundraising announcement from an online bootcamp, we saw journalists exploring why employers should hire bootcamp and apprenticeship graduates, we read about community colleges versus bootcamps and how bootcamps are helping to grow tech ecosystems. Plus, we’ll talk about the newest campuses and schools on the scene, and our favorite blog posts. Read below or listen to the podcast! 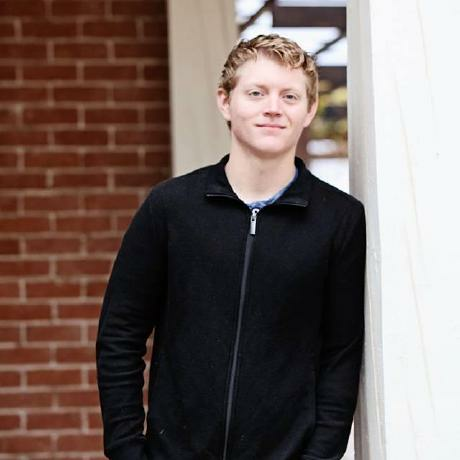 Since 5th grade, Matthew Arvidson wanted to be a developer, but didn’t think it was a viable career because he didn’t know anyone working in the tech industry. After teaching himself some code online, Matthew took a friend’s advice and chose to attend Coder Camps’ Full Stack Software Development online program. Read more about the Coder Camps online experience and see how Matthew landed a job as a Software Developer. What is your pre-bootcamp story and your last career path before you started to learn to code? I started in the U.S. Air Force and then worked in Sales before starting Coder Camps. As far as education goes, I had a high school education, but no college experience before the coding bootcamp. The last job I had was a six-month role at a company in Carlsbad, California. The first time I met computer programmers was at this job and that's where I started to get interested in software development as a career. Since I was in the 5th grade, I knew I wanted to be a developer. I wanted to create stuff, but I never believed it was possible because I had never met anyone with that job. When I met the programmers at my last position, saw what they were doing, and then saw that you didn't necessarily need a four-year degree to get started, I decided to start looking into coding bootcamps. The barrier to entry in software development was just to get a foot in the door. I tried a few different resources when I was learning on my own. I started with a few courses at codeacademy.com, and after that I moved on to freecodecamp.com and completed most of the work towards their front end development certificate. From there, I used CodeSchool.com to learn full stack development. I found that I was getting through assignments and I was getting the projects done, but there was no structure. So I decided to attend a coding bootcamp. Did you consider other coding bootcamps? What stood out about Coder Camps? I applied to Hack Reactor Remote, where I was interested in their online option. I was also looking at App Academy. I had a friend who got accepted to Coder Camps and suggested that I attend with him, so I agreed to apply. I went with Coder Camps’ online bootcamp because I learn better online. You mentioned that you actually prefer to learn online – what was your secret to staying engaged and learning to code online? I had a vision… a goal I wanted to achieve. I saw that others have done it before me and I wanted more than anything to share that success. How long did it take you to finish Coder Camps online? What did you actually learn? I finished the course ahead of schedule. It was a 24-week course and I finished my final project around week 12. I learned the M.E.A.N stack - so MongoDB, ExpressJs, AngularJs, and NodeJs. There were 8 of us, but because I finished ahead of schedule, I didn’t interact with them a lot. The small group size meant that any time I had a question, my instructor was there to answer it. If I was having trouble with some of the harder concepts, like Authentication, when I was developing my project, he would sit down with me via Google hangout or over email, and answer my questions. One thing that would have helped my experience would have been if I had been working with some sort of cohort. There was a group project on the Coder Camps website, so when I started the bootcamp I was under the impression that I would be participating in these group projects, but Coder Camps eventually told me that the group project was not for available for online students. How did you pay for your tuition? In light of current legislation, do you think coding bootcamps should be able to accept the GI Bill? I am a US Air Force veteran and Coder Camps gave a great discount for military veterans. I didn’t use the GI Bill, but in general, I think that it would be cool for bootcamps to be able to accept the GI Bill to attend a coding bootcamp. We always hear about similarities between coding bootcamps (and the life of a coder) and being in the military. Has this been your experience? If you look at it realistically, bootcamp students are cramming and consolidating four years of education into a few months. So yeah, my course was rigorous and you have to think logically and that experience is similar. I'm not sure if I would really compare it to the military, but it was definitely difficult on a separate level. Did you have a favorite project that you built at Coder Camps? How did Coder Camps prepare you for job hunting (interviews, hiring events)? Coder Camps is a very busy shop, but the career counselor who I worked with was great. She helped us with reviewing our resumes, and we did mock interviews in preparation for the real thing, although that didn’t always happen at the allotted times. Learning online means that you’ll have to work extra hard to get the help you’ll need – I had to be proactive to get the help I needed. I also did a lot of my own research to find best practices in a technical job search. Tell us about your job search. How did you transition from a student to an employed developer? Any tips? Getting a job for me was really about taking action online. I was searching in multiple states and I was putting myself out there as much as possible. About a month ago, I landed a job with a company in Tampa, Florida so I relocated for the job. I'm now a front-end developer, but I have opportunities to work on both sides – front-end and back-end. What stood out to you about the job you took? I took this job mainly because they were using AngularJS, so I knew it would give me a chance to use my skill set. On the back-end, they're using C# so I also have the chance to learn something new. Overall, the job is great. My advice for other bootcampers looking for a job is to not give up or be too picky. Put your best foot forward, and know this: taking action will get you results. Do you feel like you learned everything at Coder Camps that you needed to know for this job? After Coder Camps, I was more than ready for my role. The approach I took to my time at a coding bootcamp was intense, so when I started my job, I felt like I had a solid knowledge base and I knew what they expected from me. Today, I also get a lot of support from my co-workers and that’s helped me move past my employer’s expectations. Anytime I have a question, someone connects with me on a Google Hangout and screen shares to make sure they are moving me through. There were ups and downs to my experience, but Coder Camps was certainly a great organization to be a part of. A coding bootcamp is more work than you might expect, so be willing and prepared to sacrifice your time, and maybe a little bit of your sanity, to get through it. But I don’t regret it! Read more Coder Camps reviews on Course Report. Check out the Coder Camps website. When did the campus open and how’s it going so far? We officially opened on November 21st. It’s really great, we’ve got students enrolled in the courses and having a good time. What’s your background and how did you get involved with the bootcamp? 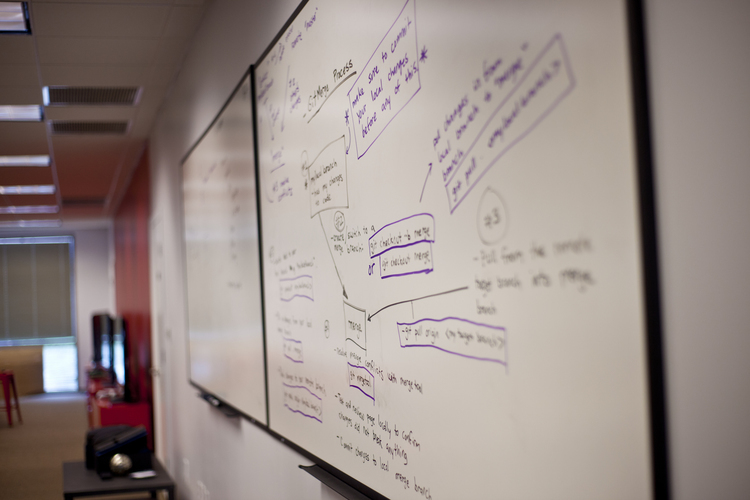 What drew you to want to work with Coder Camps? I’ve been in IT for about 20 years. I’ve worked for companies like AT&T, Apple, and HP. More recently I was the lead software developer at Godaddy.com. After that I joined a local marketing company and became the CTO there. Then I got a job with AAA, the automobile company. I contracted there for a while, and when that ended I was trying to figure out what my next move would be. I really enjoyed the coaching and mentoring part of being a manager. I had lunch with a friend and I was telling her that my ideal job is teaching people what I know. I’ve been doing this so long, and I’m at a point where I want to pass on my knowledge. I didn’t think a job existed that would do this. Then a recruiter reached out to me and told me about this Coder Camps role, and asked if I was interested. Did you move to Phoenix for this role? No, I moved to Phoenix for a previous role. I’ve worked in Silicon Valley, Sacramento, and Portland, Oregon. What’s your role at Coder Camps? I’m the Director of Education. I’m in charge of the teachers, the TAs, and the curriculum, for all campuses. All of our curriculum is identical for each campus. Depending on the industry we may change specific details of the curriculum. 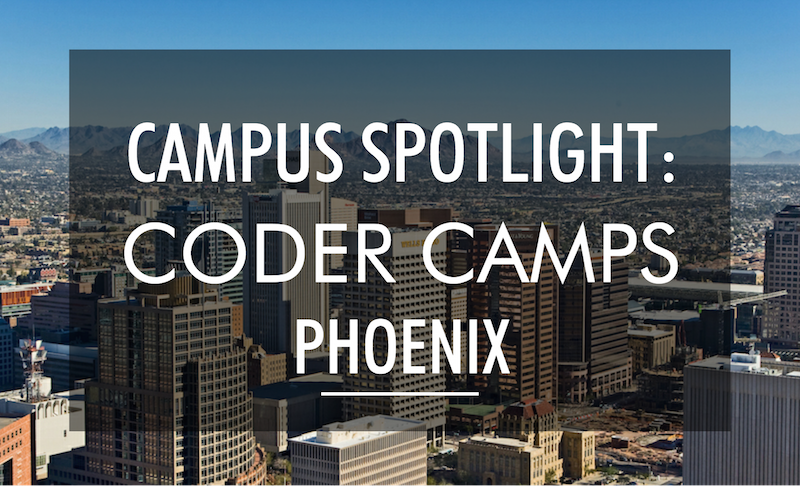 What is the Coder Camps Phoenix campus like? We have a couple of classrooms. We have a room which is really big, and broken up into different parts. When students do their group projects, they have whiteboards and tables in an open work environment so they can collaborate, work together, and get the feeling of working in an office environment. So many IT companies have an open floor plan, with lower cubicles or just tables people are sitting at. So our layout is designed to help them get adjusted to that sort of environment early on. We might be working, and someone might be playing ping pong down the hall. We have a really nice facility. Of all the bootcamps I’ve been to, this is by far the nicest. We have some great tables and setups, we’ve got a pool table, and Xbox. We have a common room where students hang out at lunch and talk to each other. Even after hours students are in there talking. We have all the amenities an office would have. It’s in Scottsdale. It’s northeast Phoenix, and it’s a very nice neighborhood. You can safely walk around near the campus. How many students can you accommodate? How many students do have in a cohort? Currently we have 24 students, but we can accommodate 60 students, and we are expanding. What tracks or languages are you teaching at the campus? Why did you choose those and are they particularly popular or relevant in the city? Java and .NET are the two primary technologies across states. In Silicon valley you’ll get a lot more newer tech like Golang or Ruby on Rails, in the startup culture. That’s true in many cities, because startups favor the open source technologies, but if you look at enterprise companies they are all using either .NET or Java. What kind of differences or changes did you need to make to the curriculum to accommodate the Phoenix market? How many instructors and/or mentors do you have in Phoenix? What kind of hours do students put in? The class day is eight hours a day, but there is homework and projects students have to work on. A lot of times students will stay here late, and put in more hours. Then there are other days when students may not have so much to do. Occasionally students come in on Saturdays as well. It’s very immersive, very deep, and very much simulates what an office would be like. How is the Phoenix campus similar or different to the other Coder Camps campuses in Seattle and Houston? Part of our philosophy is that all of them are the same, I don’t want a student in Houston to say “I didn’t get the same experience as a student in Phoenix.” All of them have the same amount of classrooms, the same number of instructors, the same curriculum, and we want to foster that idea as we go forward, that everyone has the same experience. 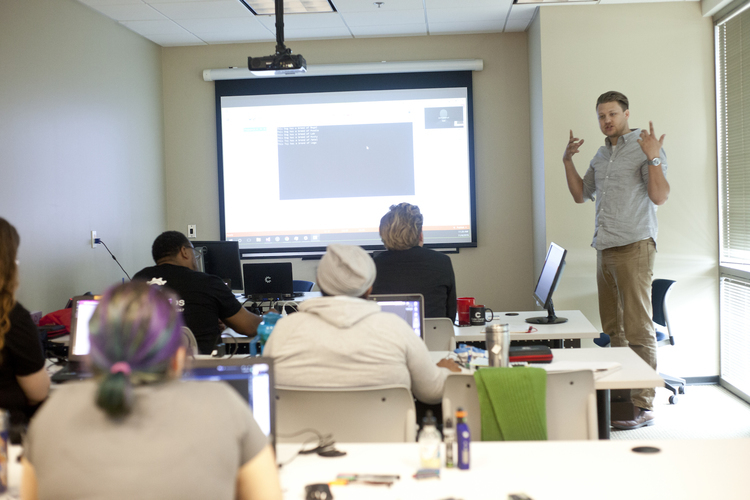 Why is Phoenix a great place for a coding bootcamp? Phoenix is one of the big tech communities in the nation right now. We have electric cars being built here, and a lot of Silicon Valley-based companies starting to build here in Phoenix. We have better tax rates here, so a lot of companies have an incentive for moving here instead of being in California. I think Phoenix has a 2% unemployment rate for developers. There are more developer jobs than there are developers to fill them. There are a couple of other coding bootcamps in Phoenix. What will make your bootcamp stand out amongst the competition? Part of our program includes a six-week group project. There is project management, where each student takes a role, and they have to be able to explain the project at the end. Those are pretty complicated projects with everything from authentication to file uploads. So students who have really great projects when they graduate, can show them off to companies as they apply for jobs. Programmers at their core solve problems and that’s the hardest thing to teach. How do you teach someone to solve a problem, and then use a tool? If I know how to drill a hole, or hammer a nail, it doesn’t matter what brand of hammer or drill, I will know how to use it. We teach students how to drill a hole, regardless of the technology. What sort of jobs are you expecting graduates to get in Phoenix? We’re starting to work with some companies here. In our other cities students have been hired at Fortune 500 companies, universities, hospitals, and in pretty much every industry that is hiring developers. We’re going to continue that here. There are a lot of job openings here, and we help with placement. We have recruiters on staff who actually work with companies to get our students hired. We have a lot of big companies here who are always looking for people. What sort of companies are hiring in Phoenix? Every major insurance agency is here in the valley, and all of them are hiring. They look at recent grads, mid-level, junior, and senior. We have Tuft & Needle, an online mattress company here. Plus a lot of e-commerce companies that hire junior developers. Since the job market is so customer service-based in Phoenix, would students be applying for jobs in support engineer-type roles? Godaddy has three call service agent centers here, and tiers of that. Some of those centers are hosting support, some of them are WordPress support – jobs where programming skills will definitely be useful, yes. Do you have hiring partners in Phoenix? We’re working on that now. The plan is if we partner with a Fortune 500 company, and we say, “what do you specifically want our candidates to have,” we can try to work out a customized program. We can put students through a specific curriculum to address the needs of that specific company, and they can then go straight into a junior role at that company. Will it mainly be junior developer roles that your grads will be applying for, or are there other roles they would be qualified for? Right now we’re focusing on the junior developer type role. It’s really hard to get into mid- or senior-level roles after a bootcamp. There are other roles for different tiers of technical support, and roles within marketing organizations, which use a lot of programmers. You may go in and not be considered a junior developer, but a developer. We are looking at expanding our curriculum to cover other industries as well. Programming is our primary. There are definitely opportunities for things like DevOps and so on. A lot of companies have taken on continuous integration and have a DevOps-type feel. They hire devs to code those tools out, and the deployment process becomes a lot easier. What Phoenix meetups would you recommend for a complete beginner who wants to learn about Coder Camps or coding in general? If you’re interested you can come check out our campus Monday through Friday 8am to 5pm. We have campus advisors who can help prospective students out, give us a call, or check out our website. Read a Coder Camps review and be sure to check out the Coder Camps website! Duran Gradwell and Debbie Westwood both learned to code at Coder Camps, but what we found most interesting is that Duran studied at Coder Camps’ Seattle campus, while Debbie studied online remotely from Phoenix, Arizona. We wanted to examine the difference between studying in-person versus online, so we asked Duran and Debbie to compare and contrast why they chose their study methods, what the learning experience was like, and what their favorite projects were. And regardless of where they learned, both Debbie and Duran have now found awesome jobs as full stack developers! What is your pre-bootcamp story? What were you up to before Coder Camps? Debbie: I’ve been through a number of previous careers. I originally went to school for genetics, but discovered that lab work was not my thing. So I spent some time in social work, then moved into the paralegal world. With the increasing use of electronic evidence in legal cases, lawyers were using their clients’ emails, documents, spreadsheets, and databases, which is where I discovered I had a knack for technology. I actually managed a litigation process, then got more and more into the technology side. Most recently I worked in a technical trainer role for a software company that was selling software to help lawyers manage that electronic evidence. I dabbled a lot in coding over the years. From 2012 onwards I took some college classes, working towards a certificate, so I already had a fairly good understanding of the basics of HTML, CSS, and C#. I decided if I was actually going to make a career out of programming, I needed to quit my day job, and jump into a coding bootcamp feet first to really accelerate that process. Duran: I graduated from university to become a music teacher and a sound engineer. Once I got into the working world as a musician, it ended up not being what I wanted to do every day. I’d always had a knack for programming, I’d done a bit in high school and enjoyed it. I thought I’d give it another shot, so I started doing some online tutorials. When I realized how much I was enjoying it, I started to look into colleges to study programming, but a few more years as a student wasn’t going to work for me. Then I discovered coding bootcamps and realized I could get the knowledge and experience I needed without having to go back to college. Duran, why did you choose Coder Camps specifically? Did you look at other bootcamps in Seattle? Duran: I had done a little bit of C# programming before, so I thought I should find a C# bootcamp, and it turned out that Coder Camps was the only one I could find offering a .NET program. I was at a point in my life where I could just move somewhere and start my career all over again. So I decided to move to Seattle to be where Microsoft and all the big tech companies were, and get that .NET education. I was living in Rockville, Maryland before Seattle and had a looked around there first, but didn’t find anything that worked for me. So what ended up persuading me was the fact that there was a .NET bootcamp in Seattle and that was Coder Camps. 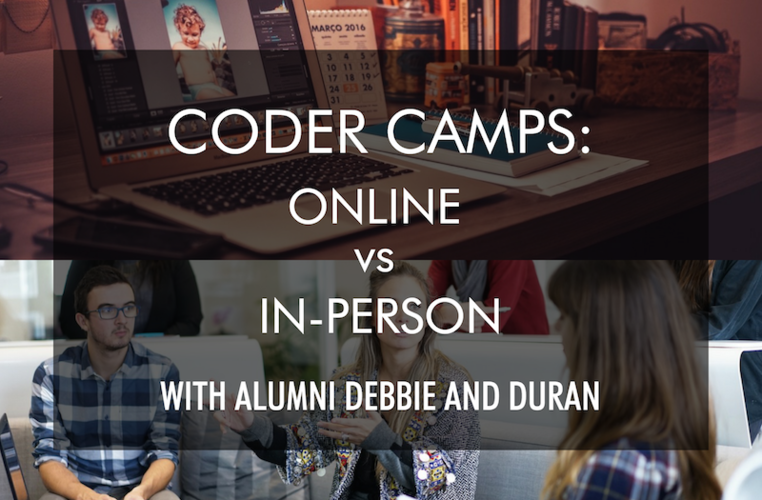 Debbie, why did you choose Coder Camps and why specifically did you want to do an online bootcamp? Debbie: I chose Coder Camps because I was looking for something online. I’m a little older than the typical Coder Camps student, and pretty well-established. Plus, I didn’t really want to leave my husband and everything else in Phoenix for three months. So I was very interested in doing an online bootcamp. The reason I selected Coder Camps was because it was the only one that had a .NET online option, and given that all of the previous classes I had done were very much .NET oriented, whether it was VB, or C#, I felt it would be my fastest and easiest way to make the career change. I could go and learn something like the MEAN stack at some other point. What was the application and interview process like for you both? Was there a coding challenge? Duran: It started with filling out forms on the website. Then I got a phone call, and they asked me questions about what I’m doing now, my previous experience, and by the end of the call, they were convinced that I should be able to handle the demands of the course. I committed to dropping everything and to focus on it 100%. They accepted me, I sorted my finances out, and I was in. Debbie: My experience was very similar to Duran, and there was no coding challenge. I think that was because it’s really a discussion about coding from scratch, as the program is designed for beginners. I filled out the application and then there was a call. They were trying to gauge how much experience I had, whether I was prepared to put in the number of hours and the amount of work that was involved. In terms of assessing how skilled I really was, there was none of that. Duran, how many people were in your cohort? Was the in-person class diverse in terms of gender, race, life and career backgrounds? Duran: It was extremely diverse. We had people from all over the world, someone from Turkey, India, other parts of Asia, there were Americans, and then me. I’m a bit of everything, but originally from South Africa. It was very diverse in terms of gender as well, and we were all ages. Debbie, how many people were you learning online with? Were you able to get to know them and interact with them or was it more of a solo learning experience? Debbie: Duran and myself were doing the class at the same time. He was there in person, and I was online. So it was a shared experience. I was in the same class, and it was a diverse class of 40% women. I think it was close to a 50-50 split between online and in-person students. There were sometimes barriers in terms of getting to know people who were physically there, as well as getting to know the people who were online with me. We had Skype so there was often a lot of chatting going on between the various online people. I had worked professionally as part of a remote team, so I had no problem reaching out and making connections, getting resources, and bugging people, whether they were there in person, or online. So were the online and in-person people interacting quite a lot? Debbie: Yes. There were obviously some difficulties sometimes. You couldn’t always hear what people were saying and sometimes there were technical difficulties, but it was fine. Obviously, the online students weren’t there at 10pm to interact directly with people. Overall, we did pretty well as I went in with very a realistic expectation of how it would work, so I was satisfied. Can you describe your learning experience at Coder Camps? Was it different for each of you? Debbie: It was very similar for both of us. There would be a lecture, then an exercise that we would do individually. It was basically rinse and repeat throughout the day. As we progressed through the class we started incorporating more group exercises in preparation for the last three weeks which was all group exercises, no lectures. We were focused on our group application. I was usually up around 6am – I was actually an hour ahead of the Seattle class. I usually would try to finish off the previous evening’s assignments until 10am, which is when class started for me. I would listen to the lectures and participate directly with the in-person class. We would start with lectures, have lunch around 1pm, and then finish at 5pm. Then I slogged through whatever assignments until I went to bed at 10 or 11. Duran: My experience was very similar. I would get in around 8am, if there was any time before class began I would start working on what I was doing the day before. Every day was intense and focused, with no time for anything but code. I wouldn’t stop working until close to midnight, because there was always more to do. Every Friday we would get a seemingly impossible assignment for the weekend, based on everything we learned throughout that week. As difficult as it was, the instructors worked very hard with us and were a great source of inspiration until the very end. Debbie, how were you able to watch and participate in the lectures going on in Seattle? Debbie: We were using Webex, so the screen was shared, and I could see exactly what the instructor was coding. Then there was a camera set up, so the online students could see the in-person students in the class. I was usually coding right along with the instructor, so what was going on in the classroom was secondary, and that was fine. The only time it became a little more difficult was if there was whiteboarding going on, and at that point I would say, “remember to point the camera at the whiteboard.” I was pretty vocal about making sure they did that and to make sure we could always see what was going on. The instructor was very obliging and worked hard to make it work. How were you able to interact with other students to work on group projects remotely? Debbie: For group projects we followed the Scrum methodology, so we had daily standups and we used Skype for calls. We were given individual tasks, we would check in with each other if we were stuck, then we might open up a Skype call or piggyback onto the Coder Camps WebEx if we could, just to share the screen and work through things. It worked about as well as it usually would for a relatively inexperienced team of coders working remotely. I suspect those who were online worked a little more independently than those who were physically there. It worked fine for me. I reached out and made sure I got help when I needed it. What were your favorite projects you worked on at Coder Camps? Debbie: I liked the group project, but I wasn't too happy with the final look of it – I didn't do the CSS. That said, I did implement Fluent API in the group project. I was inordinately proud of that at the time. The group project was essentially a way for authors of written works to share their works, get reviews on their work, and review others' work. It used the FileStack API, SQL backend, C# server-side, AngularJS/Typescript client side, and bootstrap for styling. My personal project was somewhat more simple with fewer pages, but followed the same overall architecture, albeit with a less complex data model. I implemented Filestack API and Google Maps API. Were you both interacting with the same instructors or mentors, or were there specific instructors working with the online students? Duran: We had the same lecturers. We could reach out to any of them, and we still can now. Debbie: The online students could interact with instructors over Skype. If we had any kind of discussion or lecture where we were doing a formal session, then I would always speak up if I needed some help. I think as an online student– and I’ve said this to people who’ve asked what my experience was like– you do need to be a bit more assertive to get the help you need. I don’t mean that as a criticism of Coder Camps, it’s just how it is. Like I said, I’ve worked remotely and it was exactly the same in the workplace. I had to be a little bit more assertive and persistent, and I was fine with that. You need to prepare to speak up if you are online. How many students were there online and in-person and how many instructors were available? Debbie: We started out with 12 people, and 10 graduated. Duran: We had one main instructor. There was another instructor who wasn’t in normal lessons, who works on other things for Coder Camps, and when assistance was needed he would come in. There was also a TA who would come in during the evenings, and she’d be there until about 8:30pm every night helping us with assignments and answering our questions. She was a great help to everyone. You’re both now working as developers – congratulations! Can you each tell me about your role and what you are working on? Duran: I'm working as a Full Stack Software Development Engineer for Kon Tiki Academy, a startup located in Redmond, Washington. We are focused on digital transformation services related to the education vertical. Our clients include educational institutions and some Fortune 500 companies. I work as part of a team that focuses on Microsoft's student discounting program worldwide. As part of a small agile team, working in this super cool project, each of us takes on many roles such as development, testing, deployment etc. At the moment I am working with the team to onboard a new partner. It’s an extremely talented and enthusiastic team founded by a Microsoft cloud veteran. I’m proud and thankful to be a part of it." Debbie, what advice do you have for someone who is considering an online bootcamp? Debbie: If you are in a mixed online/in-person class, you will need to be a little more assertive and persistent to get the help you need than if you were physically there. Speak up in class if you can't hear or see something, or if there are technical difficulties. The instructors at Coder Camps were very responsive to any issues raised. Also be prepared for internet outages on your end, or other technical glitches. Have a backup plan, even if it's just calling in on your cell phone. Make heavy use of Skype and Slack, not only with your instructors but also for other students. There will almost certainly be at least one other student there who is smarter than you. You'll need them, so get to know them before you need them. In general, be prepared to work very hard. If you don't put in the work, you won't succeed. The more you can learn before going in, the easier it will be, but you will still need to be highly motivated. Be sure that programming something you truly want to do, and get the rest of your life cleared for 12 weeks! Put in the work and don't slack off in the group project. It's not fair to the other students if you disappear for the last three weeks. Duran, what advice do you have for other people who are considering an in-person bootcamp? Duran: Make sure you are willing and able to give up everything for the duration of the bootcamp. Every waking moment should be spent coding or thinking about code. It helps to start taking online tutorials in preparation for the bootcamp. Even if it's not required, it helps to get ahead, and to find out if you actually have any interest in coding before you start. Do not hesitate to ask questions because you feel like you've already asked too many. Expect this to be one of the most difficult things you'll ever do, and also one of the most rewarding. Don't give up. I saw people who were falling behind in the beginning, come back strong towards the end because they were relentlessly determined to succeed. Find out more and read a Coder Camps review on Course Report. Check out the Coder Camps website. 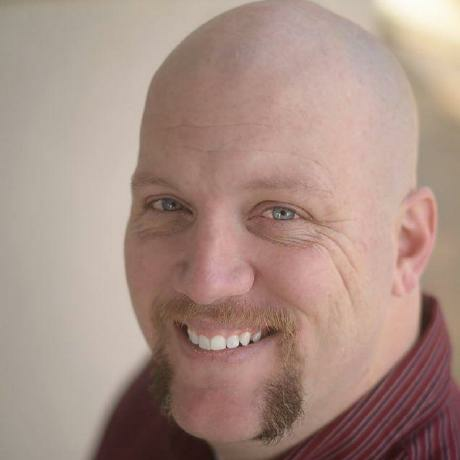 Nick built web applications to solve business problems for 15 years before he became a founding member of Coder Camps coding bootcamp in Houston, Texas. Now, three years later, Nick wears many hats including instructor, campus director, and CTO. We asked Nick why Coder Camps teaches .NET in Houston, how the team keeps the curriculum up to date, and why it’s important to give practical, real examples to help students learn. Tell us about your programming experience before you got involved with Coder Camps? In my professional career before Coder Camps, I worked for a company called Idea Integration, in business consulting for almost 15 years. I started there during college, working part-time, doing mainly web design, front end, and HTML. My first client was Compaq Corporation (now HP). I built their internal internet portal, and later worked on some of their Dot-com stuff. What did you study at college? How did you learn to code? I did get a degree from the University of Houston, but I began coding when I was in middle school. My family got a computer from my uncle, who was in computer science, so the computer only had programming languages like Basic, Assembly, and C.
When I started my CS degree, I was already working at Idea Integration part-time, and had learned about the web in terms of business solutions (ie. solving data problems). I enjoyed my job more than my computer science classes, which were a lot of math, algorithms, and low-level programming. So I found another degree called Information Systems Technology, based around the “system development lifecycle.” It covered the whole cycle of doing analysis on a business problem – defining requirements, designing solutions, building, testing, and deployment. How did you become aware of the coding bootcamp model- as a self-taught/college-taught developer, did you trust this model of education? I left Idea Integration to work with a coworker on his consulting business. That coworker was David Graham, the original founder of Coder Camps! He noticed two things: first, his clients were always asking if he could refer junior level developers to their companies. And second, we had a hard time staffing our own consulting company to fill our projects. David’s very entrepreneurial, so he did the research, and realized that coding bootcamps were needed in Houston. We talked about starting a coding bootcamp and I agreed it would be a really good idea. We would be helping solve this lack of good, junior web developers. David turned our office into a classroom and we started the first cohort. So you were there from the start! What made you want to be an instructor at the coding bootcamp? After the first class, I started helping with the curriculum, and got really excited. I then taught a class by myself, and I really enjoyed it. It was a new challenge to start a business, but it was also fun to meet new people and see them learn and have fun. I understood the students’ struggles from when I learned to code. Originally, it took me a little longer to learn, so I really enjoyed seeing people like me, trying to help them, and giving them that vote of confidence. Why do you think .NET is the best technology stack to teach in Houston? I've used .NET in my career; I understand it and I know how well it solves business problems. I've also seen the demand for it here in Houston- so many of the oil and gas companies that I've worked with have used .NET. What have you found is your own personal teaching style? My personal teaching style revolves around how I like to learn. From there, I like to tweak my style based on students, their personalities, or what they're struggling with. Initially, I like to be very practical, and explain the concept I'm teaching. Then I need to see the big picture, and what that's going to do for me. So I build in a real practical example of it. And then to help the students learn these abstract concepts, I like to do analogies. I'll introduce an analogy that's kind of fun, but also brings and drives home the point to them. 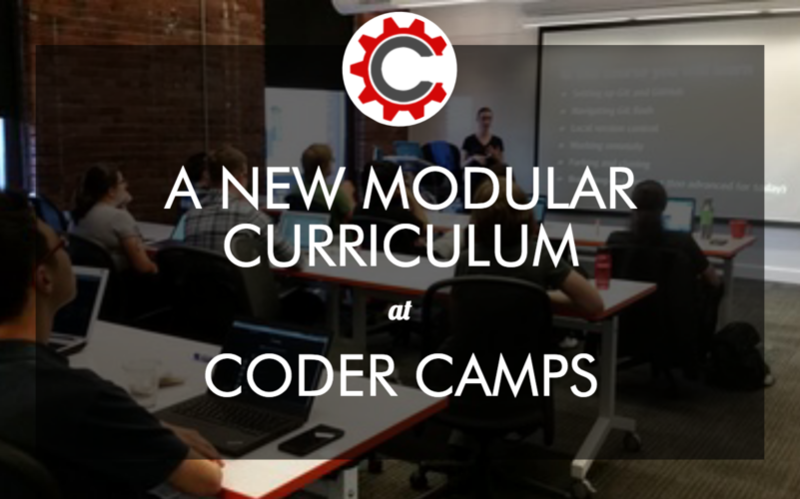 Tell us about the Coder Camps curriculum- what do you cover? At the end of the day, there is a homework assignment, which takes the day’s concepts and builds on a more fully-fledged exercise for students to do in the evening. Then the next day we review the homework together, and go through any issues students have. From Week Two to Week Five, students work on individual projects. So as they learn new concepts, they can implement those into their individual projects. Then we give them a lot of help at Week Five to finish the individual project. In the last six weeks, the students work on a group project. We do Agile SCRUM lessons, and then they get into groups and use the Agile process to build their group project. How do you assess and keep track of student progress? On Fridays, we do a little exam to test vocabulary, and ask interview prep questions. When you’re learning to code, you can learn the concepts, but still have no idea how to talk it through. As they learn the material, we also want to make sure they'll be capable of explaining their knowledge in presentations and interviews. We do a live exam at the end of Week Five, where students build a little application in an hour or two. They use all the curriculum we’ve covered so far to build a small application. That gives us an opportunity to see where everyone's at, and it gives students more practice. We can then help them out before they move on to the Project Phase. What happens if someone doesn't do well on those exams? Are they kicked out? The weekly exams are more like quizzes, and students don't have to pass them in order to move on. If they are struggling with anything, it's a really good chance to review the concepts. The live exam is a requirement to pass, and we do give students up to two chances. We'll do that on a Friday, and if students don't pass, we give them the weekend to practice. We talk about what they didn’t complete and why, and then we'll give the exam again on Monday. We don’t usually have any problems after we do it a second time. We never want to see somebody struggle. Anyone who's willing to put in the effort, we're willing to help. How often do you iterate on and update the curriculum at Coder Camps? Stephen Walther manages our curriculum from top down. All instructors and mentors have an opportunity to update and help with that process of updating the curriculum. We stay up to date with any changes to popular technology frameworks. If there's a major change to a technology, we update that curriculum as fast as it makes sense. We talk as a group asking questions like, "Is this technology good? Is it worth using? Yes or no? Why? What are companies using?" We take feedback from our students and our graduates in jobs and ask, "Hey, what stack are you guys using? What are we missing?" We take all that feedback, and we constantly update and keep things on track. In the three years you've been working at Coder Camps, what’s the most interesting update to the curriculum? The most recent big technology update we did was to the .NET course. The latest version of .NET Core came out earlier this year, and we rolled that into our new curriculum. Years ago, when we originally started our .NET curriculum, we didn't use Angular or other front-end frameworks. One of our graduates suggested we look into Angular, and then we implemented Angular into our curriculum, which we still do today. Now we're assessing whether or not to switch from Angular to React. There has to be demand for it in the market, it has to be stable, and there has to be support for it. But it really doesn't matter what kind of stack we teach, as long as students are going to learn and understand how to do web development. If our students graduate, and they want to use React or a framework we're not teaching, they'll be able to pick it up very quickly. Does Coder Camps have an ideal student to teacher ratio? Every class has one full-time instructor and at least one mentor. We cap our classes at 15 students. Our mentors and instructors also manage student requests for help as they come in via email at night and evenings. We've got a really great group of instructors and mentors who are super sharp, dedicated, they learn very quickly, and they really enjoy helping the students. Are you running one cohort at a time or does Coder Camps offer rolling start dates? We have multiple cohorts running at the same time, which means that one cohort will start, and there will be another cohort working on their group projects. In the project phase, the training wheels come off and the students are working by themselves, but we're there every day. We still sit them with the mentors, help them out, and the main instructor follows up to make sure that they're doing everything they need to do. Have you found there's a certain type of person who does really well at Coder Camps? If you've got the desire, the passion, and a great attitude, then you're going to have fun, and you're going to learn. Someone who is distraction free will do great here because not only will your mind be ready to absorb so much knowledge, but the rest of the people around you are also going to be just as committed as you are. Class is from 9am to 5pm, but students who put in extra time on homework, studying, and practicing, are going to be the most successful, get the most out of it, and have the most fun. Could you tell me about a student success story you've come across? One of our students, Joshua, came to Coder Camps on a shoestring budget. Even though he was super nervous, he had the energy and the motivation. At the end of his first week, we went to Austin for the Microsoft Build Conference. On the way back, we sat together and went over the first week, and at first I was concerned. It was the first week, but I could tell that he was struggling and concepts weren’t quite coming together. But over the course of the class, Josh was there early every day, stayed late, worked super hard, asked questions, and by the end, he was answering questions, understanding concepts, and built a really awesome group project. He found a job immediately after graduating, but we later employed him as an instructor! What’s the overall goal for a student who graduates from Coder Camps? What sort of roles will they be prepared for? Students who leave here will be prepared for a junior level web application developer role. They’ll be able to jump in and work for a corporate company or a consulting firm to do project-based work at a junior level. We also have students who are entrepreneurs who come in with a startup idea. They've already got an idea of software, and they want to be able to start creating. Other students are people who are already working or have worked as a developer, and they want to update their skills. They are not necessarily worried about finding a job afterwards. Are you involved in career coaching for Coder Camps students and if so, what does that involve? We have a career services team to help students with their resumes and the job hunt. The technical team, the instructors, myself, and our developers, schedule mock interviews with students. We go over scenarios that are likely to show up in an interview based on our experience. We'll whiteboard some problems and solutions and build up their confidence. I also use some of my real world experience and have students help think through those problems with me. How do you stay in touch with students after they graduate? A lot of students contact me after they graduate and follow up. It could be a phone call to say, "Hey, Nick, I'm stuck on this project. What should I do?" and I'll talk them through it on the phone. What is the Coder for Life program? That's a new program at Coder Camps, and the premise is we want people to have an opportunity to stay with us and keep learning. So if you've graduated from our program, then as an alumni you can come back for free and take another class or use our career services. What sort of jobs are your graduates finding in Houston? Maybe you can give me a couple of examples of the sort of companies they are working at. There are so many! Examples are National Oilwell Varco, HP, Accenture, Spark Hound, Kinder Morgan, Harris-Tech, City of Houston, Tek Systems, and Creative Circle. Do a lot of your students actually get jobs outside of Houston? Yeah, we usually have a mix of students from Houston and other areas. Some folks come in from Alabama or somewhere, then go home and find a job. Most of our career services help is for Houston. That's where we meet other companies and get them hooked up, but people are finding jobs everywhere. For our readers who are beginners in the Houston area, do you have any kind of resources or meetups you can recommend? Yeah, I recommend the Houston .NET User Group and there is a SharePoint User Group. We also may present at the SharePoint User Group in October or November. Both of those usually meet at the Microsoft Campus here in Houston. At Coder Camps, we host a hiring or demo day (usually at the Houston Technology Center), for every cohort that graduates. We invite prospective employers looking to hire graduates, and prospective students who are interested. Anyone is welcome to come to those events. We also are planning to do more meetups and events here at our campus. It's been a challenge, but a good one. It’s a lot more fun and fulfilling than always doing project work like in my previous job. I get to meet so many new people and I have something more encouraging to say that I did with my life, helping others rather than just helping a business make money. Find our more and read Coder Camps reviews on Course Report. Check out the Coder Camps website. 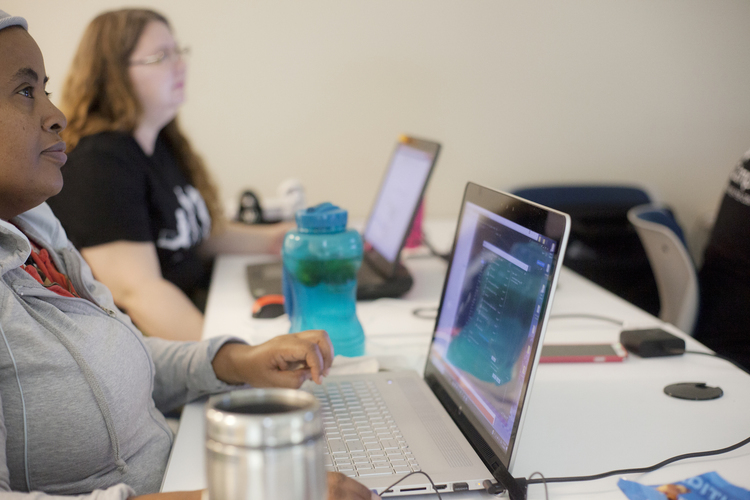 Jasmine was a junior college student studying elementary education before she took a semester off to attend Coder Camps’ 12-week full-stack bootcamp in Houston, Texas. 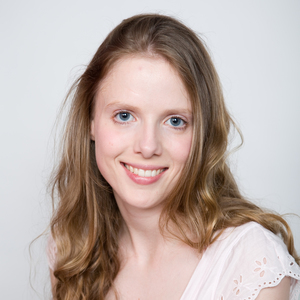 Coming from a family of programmers, she decided to leave university to see if she would enjoy learning to code. 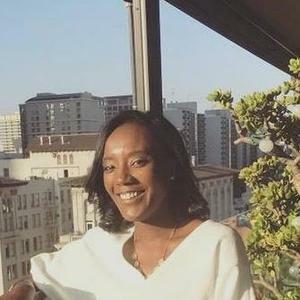 Check out how Jasmine enjoyed learning alongside lots of other women at Coder Camps, find out about the baking app she built, and why she’s shifting her goals to become a front-end developer. What was your education/career background before you decided to go to Coder Camps? I was a junior at the University of Houston studying elementary education and decided to take a semester off just to see where things would take me. During that semester off, I took a leap of faith and decided to try out Coder Camps. My boyfriend went to Coder Camps, so I had been familiar with coding bootcamps prior to going. What made you decide to learn programming? Did you teach yourself basic HTML and CSS skills? I learned from family. I never really did any self-guided learning prior to Coder Camps, it was more so me picking up things when I was with my family. Sometimes, I would go with them to work in order to learn. 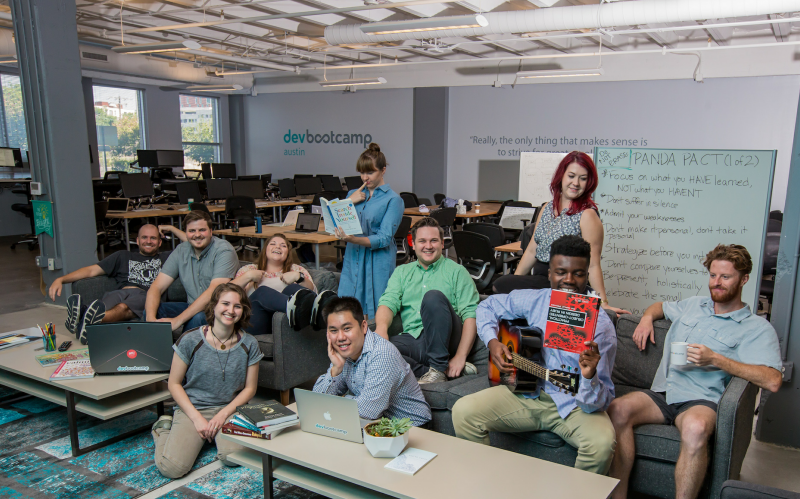 Did you research other coding bootcamps before you decided Coder Camps was the one? I looked into The Iron Yard, which is another bootcamp here in Houston, but they only teach Ruby on Rails, which isn't necessarily in high demand here. I knew I wanted to go somewhere that was teaching high demand skills, somewhere I could find a job afterward. 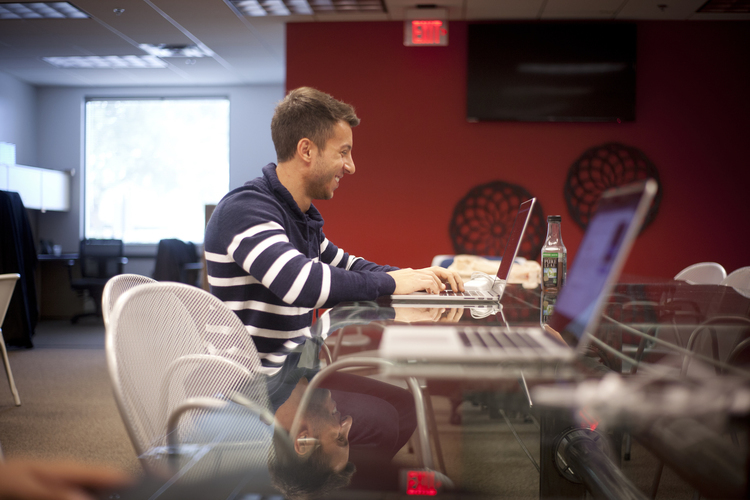 What programming languages are in high demand in Houston, and what were you looking to learn? .NET because there's a lot of oil and gas over here, so I was looking for that. Were there any other factors that you were looking for in a bootcamp? I definitely wanted something that wasn't all online. Coder Camps was a big deal for me because it was a class that you could take in person. You actually could choose online or go into the class. I also liked the student-teacher environment they had. I heard great things from my boyfriend who went to Coder Camps. A lot of readers on our site want to know how people paid for their coding bootcamps. How did you finance your tuition at Coder Camps? I ended up getting a 0% interest credit card, and putting my tuition on there. Could you walk me through the application process for Coder Camps? For me, because my boyfriend was actually working at Coder Camps at the time, I was able to speak to a few people at Coder Camps and then enroll in classes. It’s nice to have a coding bootcamp connection! Could you explain your cohort demographics? Yeah, my class was very weird and odd. Not many people have this, but it was four people in my troop- we called them troops in my group. There were three girls and one guy, so us women outnumbered the guys. The only guy came from petroleum engineering and quit his job because he wanted a career change. One of the girls worked at NASA, and then another one of the girls was a horse trainer. Everyone in my cohort had completely different backgrounds. Did you feel like those different backgrounds helped you get through the course together? Yeah, I felt my cohort size and cohort career backgrounds at Coder Camps helped my learning. It helps with being close with one another and learning from each other. I appreciated having that small intimate class. Since the women outnumbered the men in your situation, how did you feel about being a woman and learning to code? I felt like it was really powerful. I loved it, and it was just a different aspect being surrounded by women every single day because we focused on things our male classmate didn’t. He didn't care about if the product was pretty, he just wondered if it worked. It was a great experience. How did you enjoy the learning experience at Coder Camps? Describe a typical day. Class hours are 9:00am to 5:00pm, with an hour and a half lunch break at noon. Everyone pretty much gets there on time, and for that first hour, we would go over material from the day before and any questions we had. Then we would go over a new lesson. We'd be assigned an individual project that matched the lesson to see if we understood it or not, and then we’d do pair programming. We also had an individual project we had to finish by the end of the course, so we had a lot of free time to work on that. With learning new technologies each day, we could add more to our individual projects as the days went on. Did you have a favorite project that you worked on at Coder Camps? My individual project was one of my favorites. It was pretty much an application for baking using .NET and full stack. You could enter in what ingredients you have in your pantry and your fridge, and it tells you what you could make with just those ingredients. And then we had a group project with all four of us, and that was something I hold very dear to my heart. We created a conference scheduling app on the admin side, Simple Symposium using Angular. The admin can see the conferences they have available, what speakers are speaking, their bio, and other information listed out in a neat calendar form. It’s organized so you don't overlap conferences or speakers, or meetings. How did you feel about Coder Camps’ teaching style and instruction versus what you were experiencing at your university? We had one instructor and one TA and I really liked the way they were teaching because it was very hands-on as opposed to my learning in college. We would learn something and then we would have to perform the task about what we were just taught. It kept me very engaged because I knew I had a project coming up after the lecture. Although it's very fast paced, it was a lot of fun because we had so many little projects that we did every single day. And if we had questions, we just let our instructor or TA know because it was such a small class, we always had the opportunity to receive feedback. Since you were previously studying education, do you feel like it's important for certain teachers to learn how to code? I think coding is a wonderful thing to learn because it can only help you since technology is constantly growing. If learning code for a teacher means you can personalize each lesson plan and assignment to make it more interesting, then why not learn it? What was your biggest challenge at Coder Camps in terms of learning code? I'm a perfectionist, so it was hard to learn one thing and then just move on to the next subject very quickly and not be able to perfect the skills I had just learned. It moved really fast, but at the end of it all, I understood why I was learning what I was learning. What are your next steps now that you’ve finished at Coder Camps? I want to find a junior developer role. The whole reason I stopped school for a little bit was because my mom is a single mom and couldn't really afford tuition for both my sister and I. So my main reason for leaving was to work, but I definitely want to go back to school eventually. I finished Coder Camps in July and I'm currently looking for a position. I'm able to do .NET, but I'm looking more at front-end developer roles because I like front-end work much more than the back-end. I want to do something at a startup, and I would love to work with other front-end designers to build different web and mobile applications. I've been interviewing with a company, and I’m waiting to hear back! Did Coder Camps help the cohort in job search and job preparation and things like that? Yeah, they helped with resumes edits, and interview preparation. Do you have any tips or advice for someone thinking about doing a coding bootcamp? Definitely do it. Especially look at Coder Camps because they have a one to two-week free trial where they teach you basic programming. I think people should also look at Udemy, Code School or Codecademy just to see if it’s something you’re interested in before paying. There are many resources out there online, try something to help you learn the basics. Read more Coder Camps reviews on Course Report and check out the Coder Camps website! Any other information you'd like to share with Contact Us from Coder Camps? By submitting, I acknowledge that my information will be shared with Coder Camps. An email with these details has been sent to Coder Camps. You've already applied to this scholarship with Coder Camps.